So here is the second post in my brow series, this time focusing on the lowest budget products I've found available on the high street. 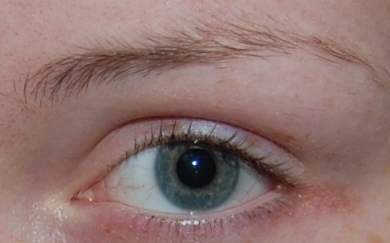 For starters, here is a picture of my light brown eyebrows before I do anything to them. Yes they're unkempt, and yes it's bugging me too. I hope that we can move on from this together. 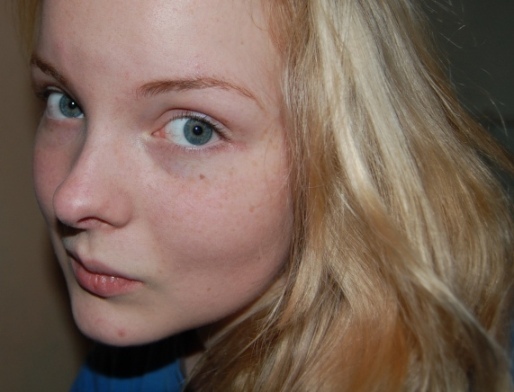 And below you can see a picture of my made up eyebrows (complete with silly facial expression) next to my hair, which as I established in post 1, is naturally brown. Now, I do confess that these products were the first ones I'd ever bought with my brows in mind. I know that there are many reasonably priced products out there (several from ELF for starters) but due to convenience my first brow product purchases were pretty predictable! Day to day, I've been using 2 products that in total come to the price of £2 and only one of them is specifically designed for eyebrows! From the price tag you've probably also already guessed that they are by MUA. My daily brow products at the moment are limited to MUA's clear mascara (shade 1) and their eyebrow pencil in blonde. This pencil impressed me from early on. 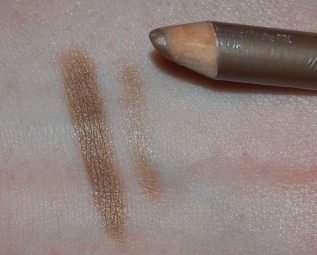 The consistency of the product is incredibly soft and the tone is quite ashy and not too vibrant. While it is easy to work with this pencil due to its softness, I can just as easily be quite heavy handed with it due to the instant colour payoff. I also don't actually use the comb on the other end of the brush as I prefer using a mascara wand to blend away the sharp edges of the pencil and comb my brows into place at the same time. One criticism I do have is that the pencil can verge on the slightly orange tones if applied too heavily. Properly strawberry blonde girls should have nothing to fear, but it can be quite noticeable if I'm not careful. Now, here is my not so clear mascara! The brush has in fact over time picked up a lot of the pencil's pigment and so the tube is a delightful murky beige. I've been meaning to pick up another one, really. Also, while this mascara does blend with the pencil's pigment and make it look a lot more natural, it does have some shortcomings. Firstly, it doesn't set my brows all day and I do unfortunately still sometimes have those moments where I look in a mirror and see that the hairs are totally skew-whiff. Also, it can leave some wet product on my brows for quite a while after application so I often end up dabbing this away. While I do like both of these products I'd say that the pencil is the standout buy that I'd highly recommend. As you can see, while I make do with this routine it's far from perfect. I'm in the process of looking at my options and hope to have some follow up to this with alternative products!